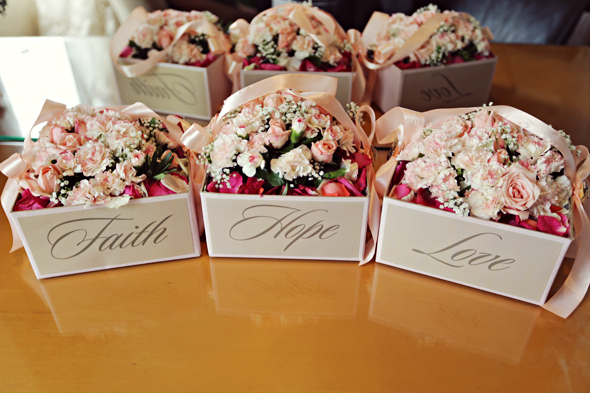 People sometimes find it cute to have animals become part of a wedding entourage as bearers of flower baskets or wedding rings. But in a largely Catholic or Christian country such as the Philippines, this role is given to people, usually children who are part of the family, a close relative, or a family friend. Actually, for Catholic weddings, the flower girl and the ring bearer are not part of the Rite of Marriage and are thus optional. For many churches, there are also guidelines for kids in such roles. These include requirements on minimum age, as well as having received the sacrament of Holy Communion. 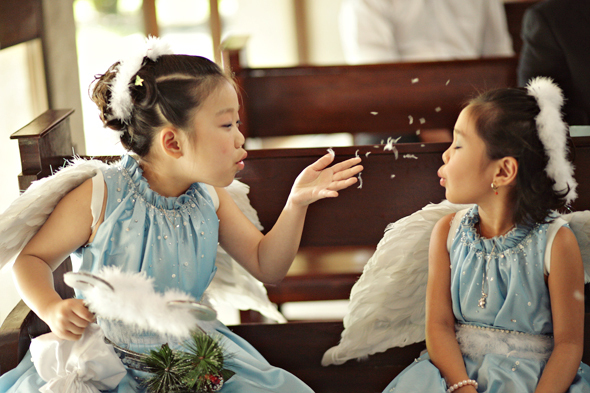 Although optional, children in flower girl and ring bearer roles admittedly add a certain amount of cuteness and charm to the entourage, even if they do not perform their roles well. That is, except when they cry and scream too loud or misbehave, disrupting the wedding ceremony. 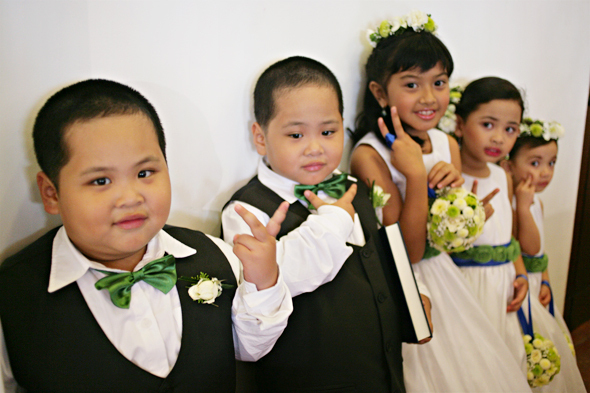 How then, does one train a child to perform well as a flower girl or as a ring bearer? Make sure that the child can walk straight enough and is not inclined to crawling. Selected participants should also not be easily fearful of the presence of so many strangers. For kids, comfort is a big factor, especially with the outfit he or she may be wearing at the time. It is thus essential to have the child try on the outfit he or she is to actually wear, including the shoes. This will allow the parent to be on the lookout for possible accidents, such as tripping on the hem. When in doubt about getting the clothes ruined, have the child wear something similar in length and shape. 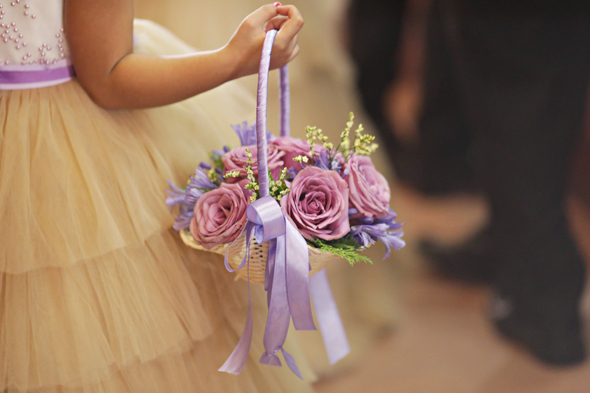 It may be a good idea to watch videos, along with the child, of other flower girls or ring bearers. This makes the idea easier for a child to grasp and imitate. The parent can then play a game with the child on walking techniques, complete with props such as baskets or small pillows. This practice can be extended to an actual church aisle, even if it’s a church other than the actual wedding venue. Make sure that the child is in a good mood during the big day. Let him or her have enough sleep. The child should have eaten, as a hungry child is a cranky and disobedient child. If the parent is part of the entourage, have someone else whom the child knows to stand in front or coax the child along. It may also be a good idea to introduce the child to the photographer, since kids usually pose more comfortably with someone they are familiar with. Never force a child to walk when he or she does not want to. If all else fails, walk down the aisle with the child, or carry him/her. Be prepared with a treat as reward for a successful march down the aisle. 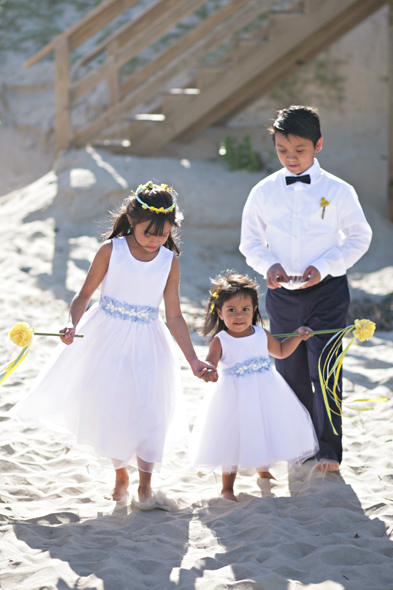 If the kids did not participate in the wedding rehearsal, introduce them to each other before the wedding begins, and explain to them their position in the wedding processional – the ring bearer usually precedes the flower girl. It is also advisable to have the ring bearer bring fake rings, with the real rings kept in the care of the best man or another trusted person. 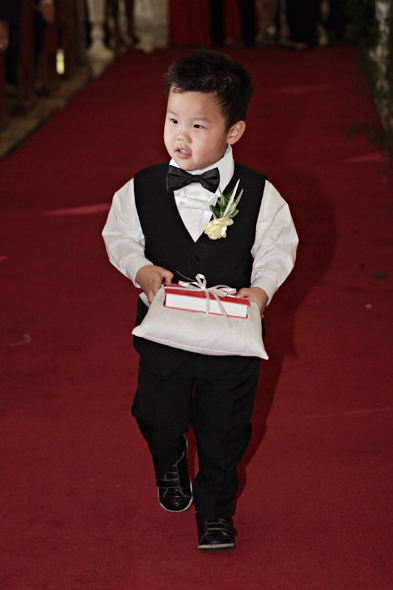 For a ring bearer who is old enough, though, it would be wiser to give him the rings right before the procession begins. Remember, kids are unpredictable and may thus disturb an otherwise solemn ceremony. But with proper training, they can be, without doubt, adorable and bring a smile to everyone’s face.